High quality organic tea from Julius Meinl. 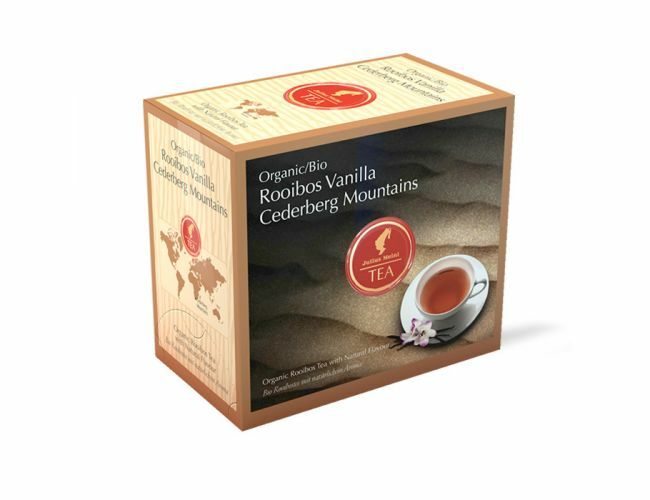 This organically grown Rooibos tea is harvested at the foot of the Cederberg mountains in South Africa. The lightly nutty and sweet taste of the rooibos is perfectly harmonized with the scent of vanilla. The warm brown colour resembles the African savanna. Each tea bag contains 3.50g. Perfect for Tea for Two.